The Bruening Foundation made a capital investment in The Children’s Museum of Cleveland’s new home. 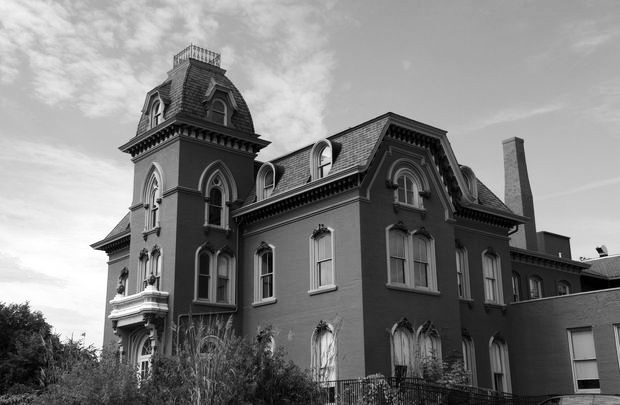 Plans are underway for the CMC’s renovation of the historic Stager Beckwith mansion in Midtown. Since purchasing the property in December 2014, the CMC has collaborated with exhibit designers and early childhood stakeholders to create a museum that brings children and adults together in innovative ways to learn through play. The CMC serves 100,000 visitors annually and experienced a record high summer attendance in 2015. It is the only cultural institution in Northeast Ohio focused exclusively on the education of children birth to 8 years of age, a formative time when learning happens through play and social interactions, and as such aligns well with the Bruening Foundation’s interests in programming for young children and their families. Through an imaginative and creative style of design focused on whole child development, the CMC will transform its new home into areas filled with play based learning. Twelve thousand square feet of brightly-lit exhibit spaces will cover all forms of play and are designed to support the development of 21st century skills: creativity, problem solving, communication and collaboration. Due to an upcoming commercial redevelopment on its current property, the Museum’s lease is not being renewed. As such, the Museum will close its University Circle facility on Sunday, Jan. 3, 2016 and begin to serve the community through a dynamic series of programs held throughout the community until the time when the renovation in Midtown is complete and the Museum is ready to open its new home to visitors.